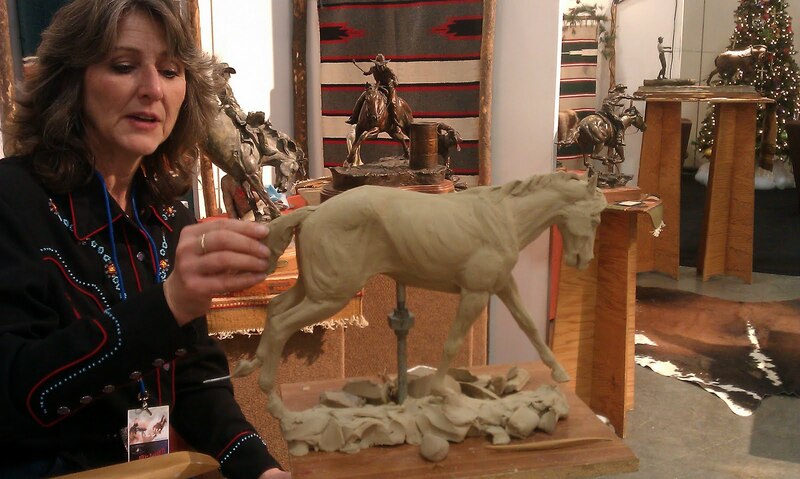 I recently met bronze artist Mary Michael in Las Vegas at the Art of the American Cowboy show. My father was showing his work there as a featured artist, and I had some time to take in all the art that was on offer. 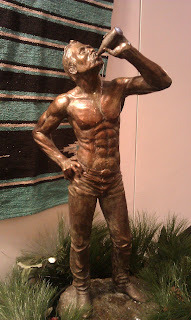 Her piece "Tall Cool One" broke the ice for me and I had to meet her and get to know how she makes her art. Mary is a fascinating woman with a wonderful family who were all there supporting her as she she manned her booth. 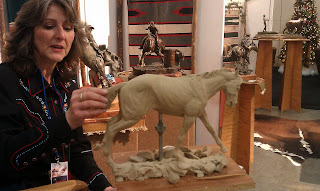 I had a little chance to talk with her and learn about how she has her sculptures cast into bronze. First she uses clay to sculpt the artwork, then she sends it to be made into a mold that will either be a one of a kind or a limited edition. She likes to experiment with patinas, it was interesting learning some of the techniques she uses to achieve different colors and textures on the bronze. Here is Mary doing what she loves. I loved seeing this horse in progress, it already looks like a winner to me! She is super talented!